There is an argument that circulates in the soccer world that goes something like “your cleats don’t make you a better player”. Although there is some truth to this, without the proper footwear you are putting yourself at a disadvantage. Over the years, there have seen hundreds of different releases that cater to different player types, some featuring technology and others relying on comfort and basic performance. Taking into consideration all factors of a boot, these are The 25 Best Soccer Cleats of All Time. 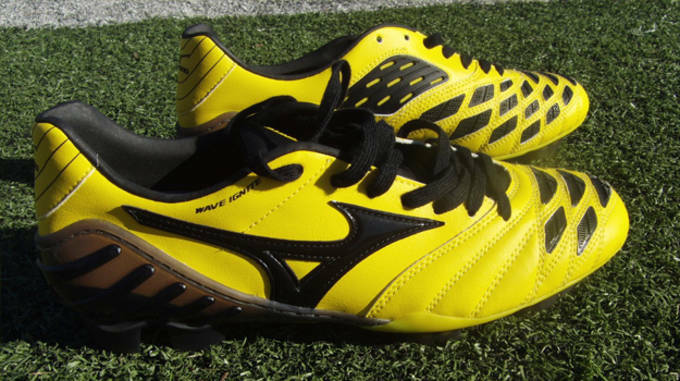 Highlight: One boot that allowed players to interchanged between Hard Ground(HG), Firm Ground(FG) and Soft Ground(SG) studs. As the modern game evolves and surfaces improve, players are left with the challenge of having a collection of boots to suit all surfaces. 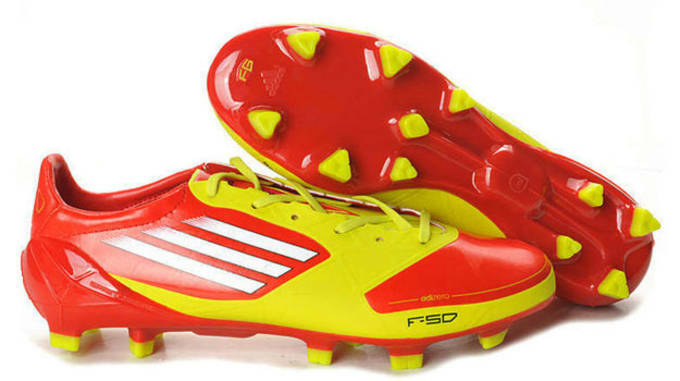 The F50i challenged that, with adidas releasing an innovative interchangeable soleplate. 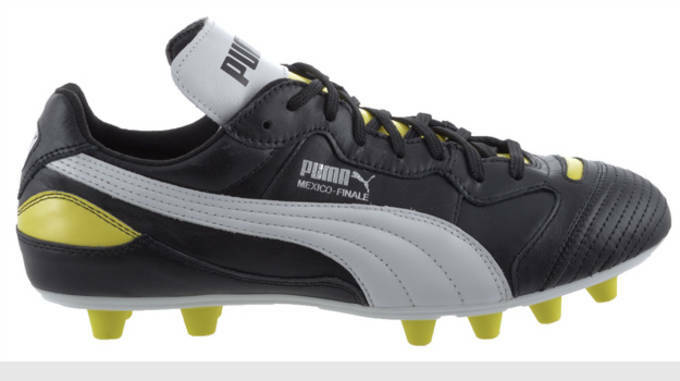 In other words, at any moment you could switch the studs to suit the pitch you were playing on. Unfortunately, the boots were bulky and the time it took to change out the studs was almost not worth it. 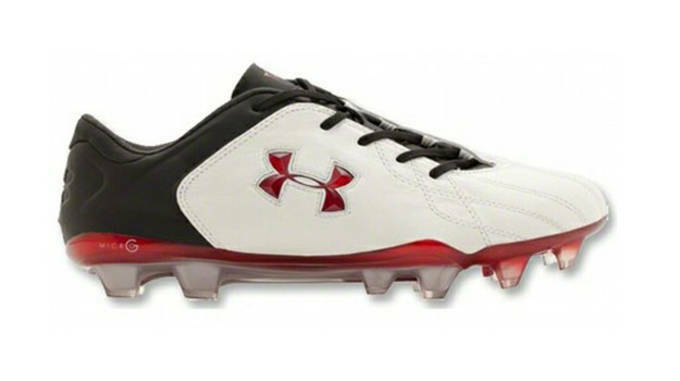 Highlight: A boot with no laces, producing the largest strike zone you will find on any boot. On release, the Lotto Zhero Gravity left players gasping, wondering what they were looking at. How could a boot have no laces yet stay on your feet? Lotto are the only large company we have seen tackle this niche design and for good reason. As far as concept to design goes, they have got it about as close as you can get to perfect, although a lot of players will argue that is nowhere near the level of performance players actually need! For their inginuity, the Gravity get the 24th spot on the list. 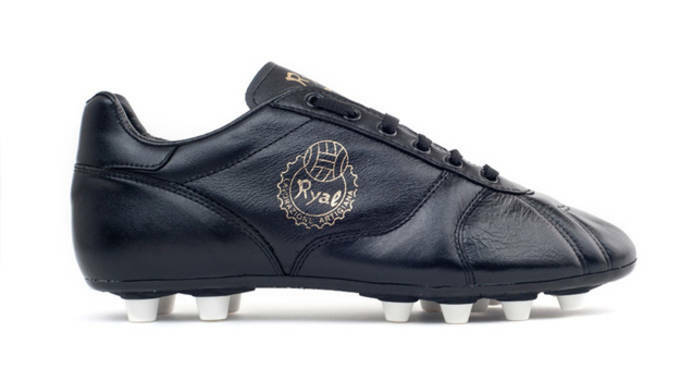 Highlight: The boot that Maradona was wearing when he scored “that” goal in 1986. There have been a lot of different Puma King releases in their 40 year existence, but the Puma King Finale find their way on the list thanks in part to the fact Maradona wore them while scoring one of the greatest goals ever seen. Built with a classic K-Leather upper, these boots provided an exquisite fit with an effective cross-stitched forefoot. 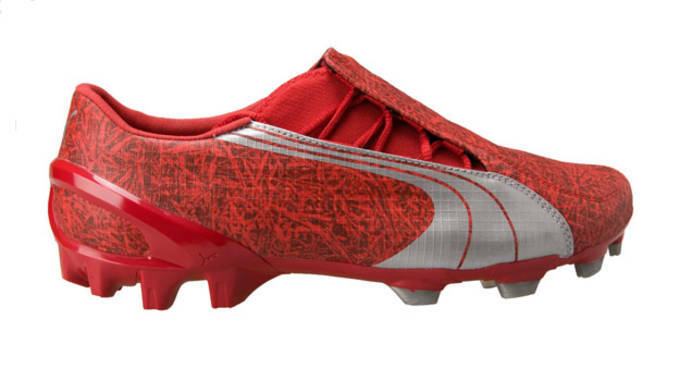 Because of their popularity, Puma created a limited edition re-release in 2011. Highlight: A tantalizing, old school release that oozes quality with its K-leather upper and unique “from a past era” design. I’m sure a lot of you haven’t even heard of Ryal before now, but they are a company worth checking out. Their campaign “Against Modern Football Boots” tells you what they are all about, and there probably isn’t a more classic design currently on the market. They have that 70’s style look about them but more importantly all the comfort updates necessary to take them into the modern era. Comfort plus a classy design ensures they crack into the 25. Highlight: George Best boot of choice when he played. This is the only selection on the list where we choose a company rather than a particular boot. Why? 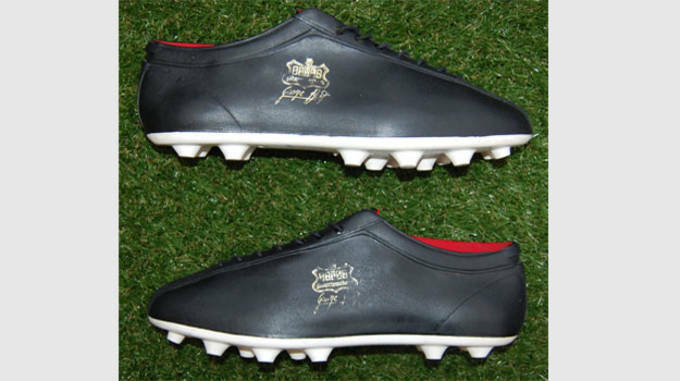 Well, not only did George Best wear the Style Matchmaker for large parts of his career, he also played a role in designing the boot. And with other players like Kevin Keegan, Trevor Francis and Steve Heighway swearing by the performance offered by the boots through their careers, the company deserves a shoutout. Most of their designs were cutting edge for their time and they pushed the boundaries with side lacing rather than center, with the intent of “maximizing comfort, better ball control and more shooting power”. Highlight: The boot that represented 60 years of Diadora history, with Francesco Totti serving as the face of the boot. Diadora find their way onto the list through a fantastic release that served as the company&apos;s 60th anniversary release. Designed with pure performance and classic design in mind, the Diadora LX K Pro is crafted from a super soft supple kangaroo leather, offering a soft touch and great ball control. 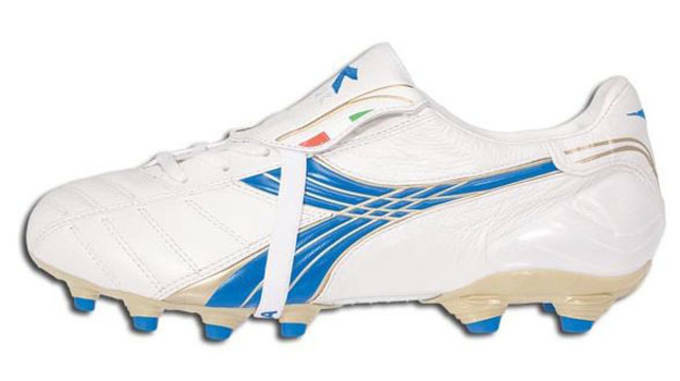 However, what differentiates this boot is the many technologies that Diadora uses to optimize comfort on the pitch. In an effort to reduce stress on the foot, an Engage insole helps to absorb shock during play, an Ergos Footbed provides extra cushioning, and a Competition Comfort Bridge system optimizes support of the plantar arch. What results is a supremely comfortable boot - paying testament to what Diadora are all about! Highlight: A padded zone called the ECZ, or Energy Control Zone, sits on the instep making for great control. With Nike’s takeover of Umbro in 2008 came a whole new wave of boot designs for the English giants. One of these designs took on a key fundamental piece of Nike development - a padded control area on the instep. This might sound like an easy addition, but you need to create a soft zone that cushions the ball without making it stick to your foot. 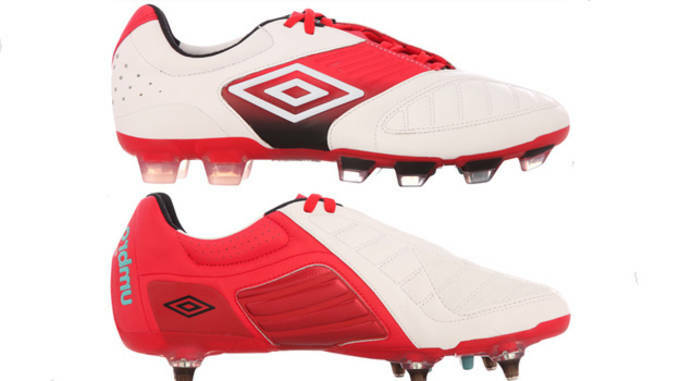 Umbro employ a Teijin medial pad with memory foam and as a result, the “ECZ” stands out as one of the leaders currently on the market. Add the strategically positioned stitching featured along the K-Leather upper and the very effective stud configuration, and you have a top class performer. There is no doubting the innovative nature of this release, as it set in place a market shift toward lightweight releases. 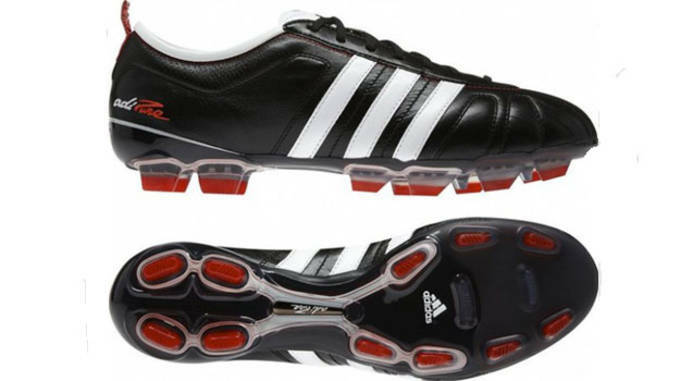 At 6.8oz they were the lightest boots ever released when they debuted during World Cup 2006 in Germany. They featuring an integrated, covered lacing system on a thin microfiber upper that made them as easy boot to market toward speedy wingers and pacey forwards. 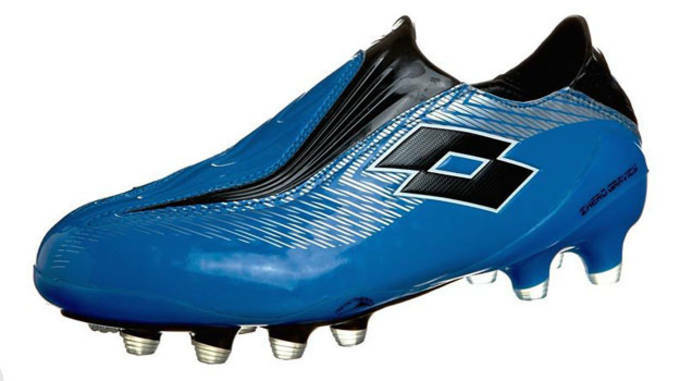 Take for example Samuel Eto’o, who wore them while in his prime at Barcelona. 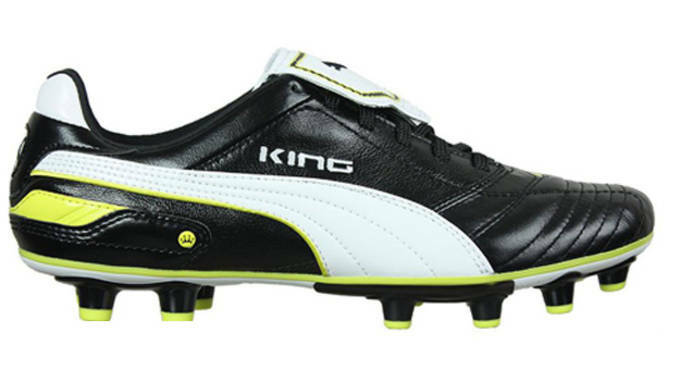 Highlight: The modern version of the fabled Puma King series. Since 1968, Puma has been perfecting the King series with the help of players like Eusebio, Pele, Johan Cruyff, Maradona, Lothar Mattheus and Didier Deschamps. That is one heck of a line-up! 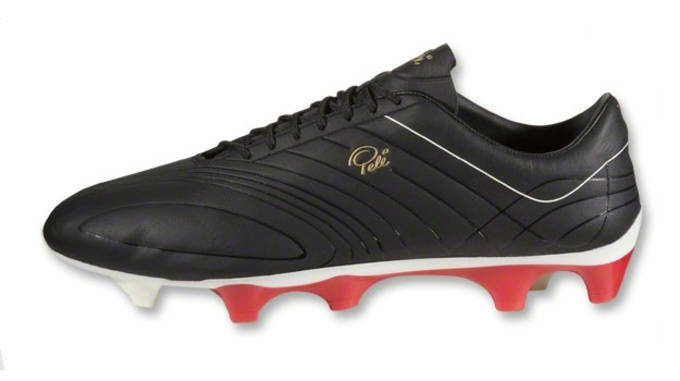 Realistically, I could have picked pretty much any of the Puma King releases through its history, but the current release takes everything they are about and adds an extremely modern package. The leather upper is the absolute highlight of this boot and you get that fantastic leather smell when you take them out of the box for the first time. I love the modern detailing and updated KING symbol, but there is one negative in the form of the flap tongue - although that is an easy thing to resolve with a pair of scissors! Highlight: A futuristic H2Oi Water Intelligence Technology upper matched with a Sleek Stud Configuration. A surprise addition to the top 25? Some might think so, but these boots have a lot going for them and might be one of the more underappreciated boots currently on the market. Other than the fact that they are one of the most comfortable fitting boots on the market, they also feature an exclusive moisture-shedding H2Oi K-Leather upper that offers bone-dry touch, precision, and power on the ball. When water contacts the surface of the boot, it immediately seems to dissipate. And then there is the CoreSpeed soleplate that is designed to enhances the foot’s natural ability to accelerate from a planted position, in any direction. Trust me when I tell you that it all combines to work effectively on the pitch - this could be the game changer for the UA brand in the soccer market. Highlight: Side Mukaiten Panel is designed to deliver amazing no-spins shots. Keisuke Honda was the player responsible for the rapid rise of the Mizuno brand after his spectacular free kicks and performances at the 2010 World Cup. One of the more appealing aspects of this release is the side Mukaiten Panels that is designed to deliver a shot from the instep that produces no spin. When perfected, it produces a shot that is extremely tough for keepers to read, but unfortunately perfecting it is not an easy as simply putting them on and taking some shots. If you were wondering that the weird black panels across the forefoot are, they are called the 360 Bio Vamps and they offer players some additional spin while playing long balls and additional control and touch on the ball. Highlight: A Power boot designed to provide The Perfect Strike by maximizing Nike’s technologies through the strike zone. 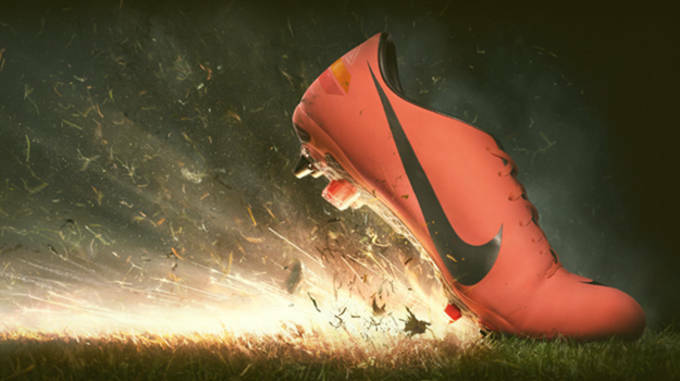 On release, Nike’s advertising slogan completely summed up what these boots are all about; “the perfect strike”. The strike zone on the T90 Laser IV is referred to as the Adaptive Shield, and it is broken down into separate areas. The upper region, or the strike zone, is designed to flex naturally with the fit as you contact the ball while giving you some added oomph, while the lower region, or swerve zone, features fins that are strategically positioned and sized to allow for closer feel on the ball, while supplying added bend when you need it. All in all, this is an advanced boot that matches the performance requirements of both Defenders and Forwards. The durability of the upper and the overall aesthetic look of the boot is what keeps it from sitting higher on the list. Highlight: The first true personalized Ronaldinho boot that took on all the positive traits we expect from a Tiempo release. You can’t have a top 25 list without including what were the first true personalized and complete boots released for a Nike sponsored player. At the time, Ronaldinho was playing for Barcelona and coming off back-to-back World Player of the year awards. In other words, he was the perfect marketing piece. From the fold over tongue that created a larger striking zone to the soft K-leather upper, everything was specifically molded to complement Ronaldinho’s style. The extra smooth K-Leather upper took on a completely new type of stitching pattern that allowed for a more personalized fit across the forefoot. It made for a very professional look and falls right in line with even our current day expectations of the Tiempo range. When Pele Sports arrived on the market a few years ago, many players didn’t expect to see the company gaining much momentum from their larger than life releases. That was until the Trinity 3E hit the market, a boot with a ton of futuristic advancements. The original release featured a Symbioskin upper and an innovative tri-stud configuration, all in a superlightweight 5.6oz package. But, I’ve actually given the #11 spot to the newer “Titan” leather version, which offers even better performance thanks to its soft touch on the ball. They weigh in at 6.3oz and are one of the lightest leather upper boots ever released! Highlight: Nike’s latest speed boot, as worn by Ronaldo. Where its predecessor, the Vapor VII, lacked an identity and left players confused, the Vapor VIII reinvented itself into a lethal attacking weapon. An all new suede microfiber upper is coupled with the first two-blade heel design seen on the market to produce a cutting edge boot. They also provide a different type of fit, with a wider forefoot that sits lower on your foot. It results in a contoured fit that is actually quite comfortable. You just need to look at the selection of players currently wearing these to know they offer top level performance; Ronaldo, Ibrahimovich, Ozil, Hazard. But it is a little too early for this boot to sit higher on the list, with the upper scuffing pretty easily and some concerns about the unusually sharp design of the blades. Highlight: The first boot released with the ability to track player performance. 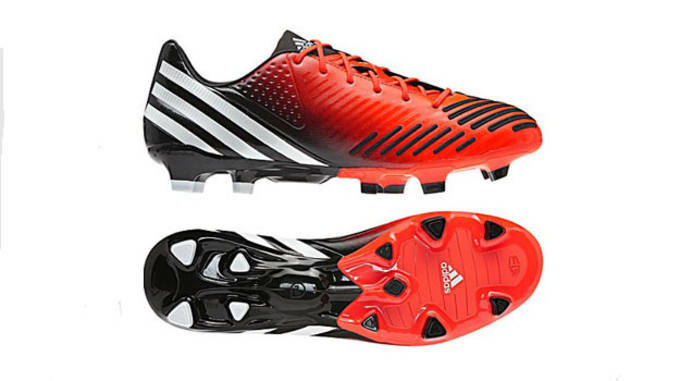 adidas has worked on improving the overall performance of the F50 series, while creating a cavity in the sole where a SPEED_CELL performance tracking chip calls home. It is a bold move but one that many players have been looking for as boots take on a more advanced role in a players game. 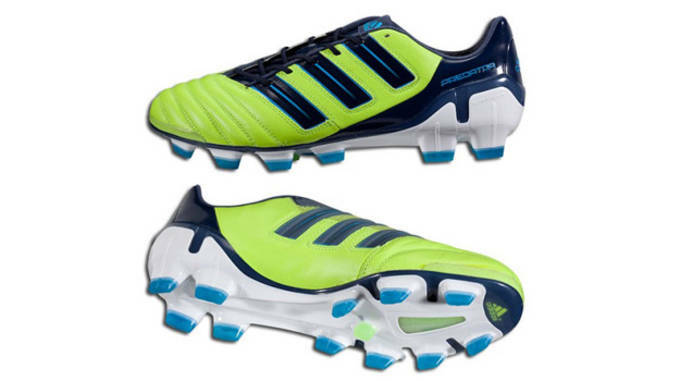 The boots are very comfortable to wear and they feature a SprintFrame soleplate that Adidas has been comfortable enough to adopt through their current entire range. As currently worn by Lionel Messi. Highlight: As per the title, Super Lightweight. The lightest boot to hit the market. Puma hold the lightweight record thanks to their V1.10 SL release from 2010. What makes this release so unusual is that the V1.10 features a box toe, while the SL version had a more rounded design. As a result, they provided a completely different level of performance and paved the way for Puma to change the design of the V1.12. What made these so light? Puma used an ultra thin premium microfiber upper and one piece of pebax with a carbon fiber inset to minimize weight and increase stability. 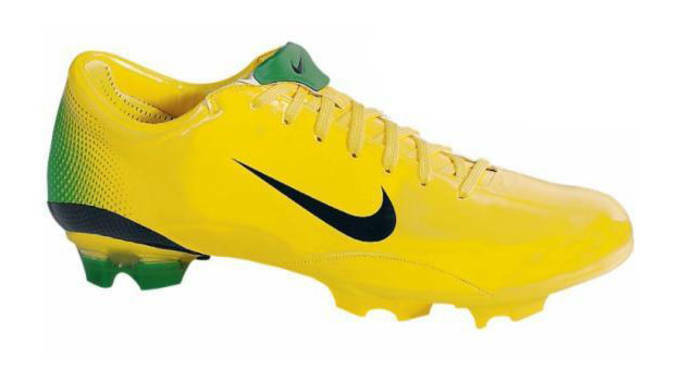 Personally, one of my favorite boots ever released! You might be surprised to see that the only boot in the adiPure range to be on this list is the adiPure IV, and it is for good reason. Every boot in the adiPure range has been crafted with tradition in mind. But only the fourth installment has actually lived up to the potential we expect. Comfort has always been a main staple of the adiPure range and what sets this boot apart from others was a new neoprene pad system around the heel area. It allowed the boot to mimic the shape of your heel, providing great fit. Players usually compare these boots as being an updated version of the Copa Mundial, and that is basically what they are! 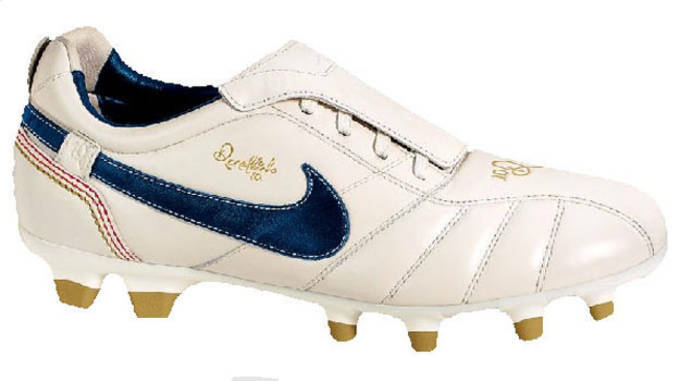 During the 94 World Cup final, both Romario, who led Brazil, and Italy&apos;s Paolo Maldini sported the absolutely classy Nike Tiempo Premier, giving you some idea of the calibre this boot holds. A super soft K-leather upper featured a fantastic vamp stitching pattern and a retro fold-over tongue gave them an unmistakable look. 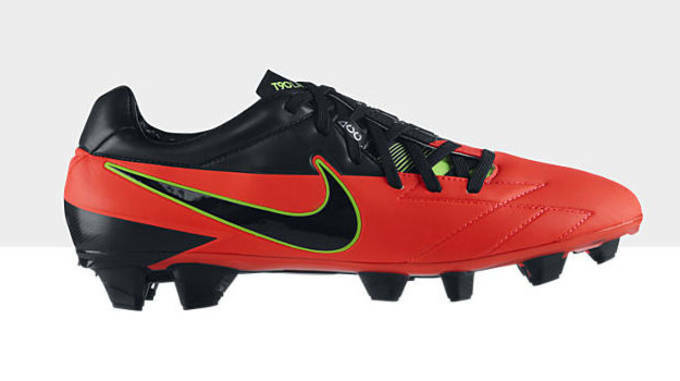 This is the boot that lays claim to the evolution of the entire Tiempo range. 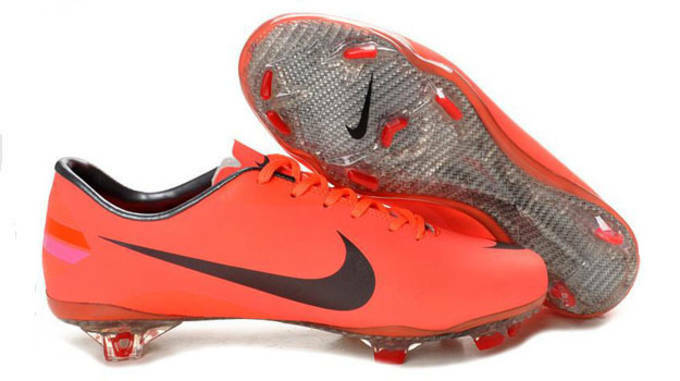 Because of the boots popularity, Nike re-released an updated version in 2009, which also sold out incredibly quickly. Who knows, maybe we will see a re-re-release sometime soon! Highlight: The Predator that featured silicon rubber and 3D fins on the Predator Element for power and control. Outside of the whole Power element of this boot, adidas shifted to a whole new dynamic - lightweight! Weighing in at 7.8oz, it is hard to comprehend this boot still sits in the power category, but it does. adidas has managed to shave some weight in the soleplate by using a new PowerSpine design and through the upper, where they have used a Taurus leather. Taurus is not quite as soft as K-leather, but it still molds to your feet excellently. When it comes to the Predator Element, you will notice there are three different colored regions: Blue, Yellow and Black. As you move from the lowest blue region, through the yellow and to the top, the 3D fins on each section is gradually raised from the boot. It creates a solid and very smooth strike zone. Ultimately, adidas has pulled off lightweight with power on this release - a extraordinary feat. Highlight: A true power boot that lit up the 1998 World Cup. 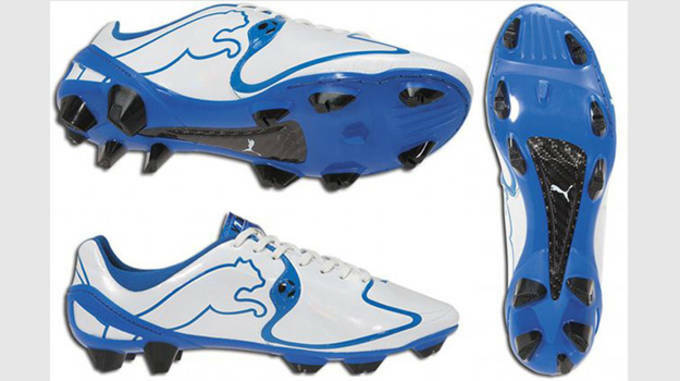 Probably the most popular Predator boot released. I can’t help but admit that these boots are my favorite Predators ever released. They are not light and the technology is in your face, but when they hit the market they were truly revolutionary and a real power boot. The Predator Zone was composed of specifically positioned rubber panels through the forefoot that allowed for added power behind shots. The Accelerator was the boot released by adidas for the 1998 World Cup in France. At the time, Zinedine Zidane and David Beckham were the lead players showcasing the boot. Zidane scored twice in the finale to help France win. 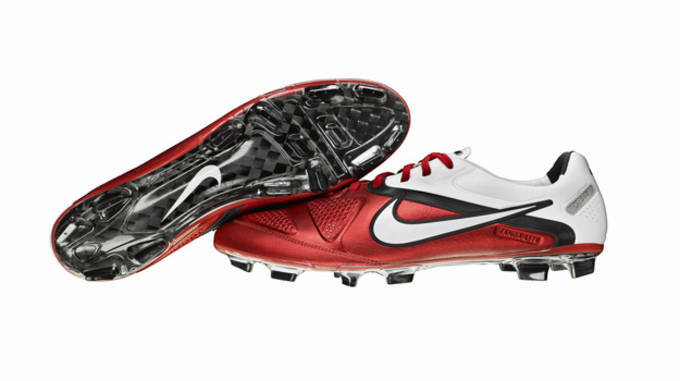 Highlight: A lightweight boot that propelled the Vapor series to a whole new level. Created using a new revolutionary teijin synthetic upper, the Vapor III proved to be the stepping stone for the Vapor series, allowing Nike to produce a boot with superior ball feel, control and strike in a lightweight package. Nike also introduced their new ‘Speed Last’, which was designed to contour the anatomic curves of the foot for added comfort and maximum speed advantage. Pretty ideal characteristics for the likes of Cristiano Ronaldo, a player who was centerpiece of the release and played some sensational soccer while wearing them. Had it not been for some durability issues with the upper, this boot could surely have ranked even higher, yet they still sit as one of the best Vapor releases to date and a top choice at SoccerCleats101 HQ! Highlight: You can’t beat simple class, something that this 30+ year old range has continually proven. 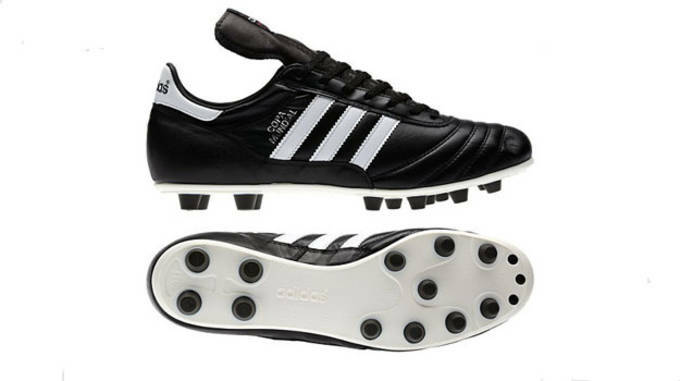 How can this 1979 classic not be included on the list considering they are still one of the top selling boots on the market and have undergone very minimal updates? On release, the Copa Mundial was seen to be a boot ahead of its time and that has proven to be a very accurate assessment. Beckenbauer, Baresi and Michel Platini are just a few of the top players who have worn the range along with millions of amateur players around the world. Since 2001, the Copa Mundial has ranked as the top selling boot of all time - a title it is sure to keep for a long time. Amazingly, there is nothing complicated about these boots. It is a signature K-leather and minimal soleplate that proves to be the perfect simple combination that players over 30 years have sworn by. Highlight: A boot that helps when it comes to control, while allowing players to receive and distribute passes with ease. You might be surprised to see the CTR360 II so high on this list and listed instead of the CTR360 III. First off the third edition is a wonderful boot, but it just hasn’t proven its value on the market just yet. 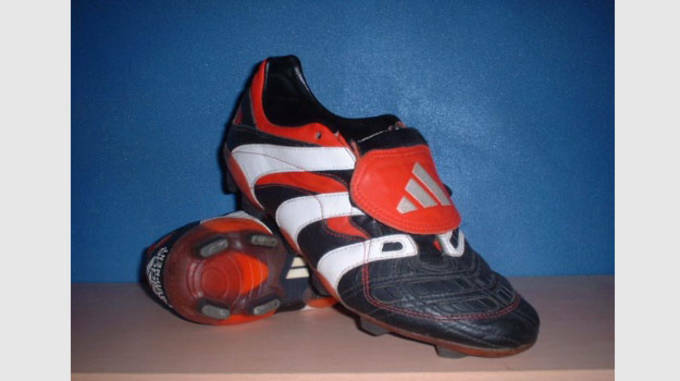 But the second version was a boot that seemed to be ever existent on the market, with that Challenge Red colorway flashing before me each time I blink my eyes! 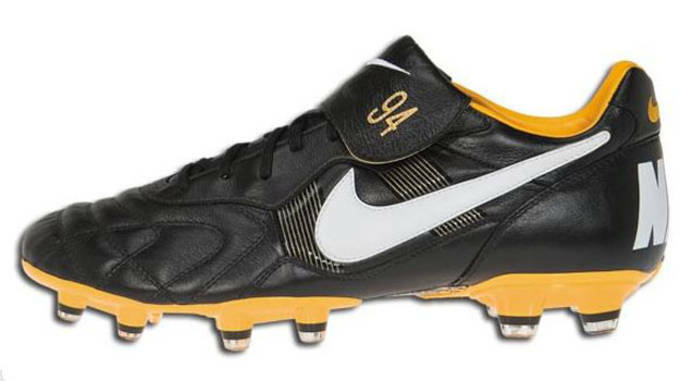 Nike’s goal with this release was to create a boot that mastered control while allowing players to receive and distribute passes with ease. They were successful! The black region on the instep and the smaller red zone make up the pass and receive pads. The black zone is designed to improve control. Similar to the TPU fins seen on the T90 Laser III, it is designed to improve control by dampening the ball as it hits the surface of your foot. And even though this boot is marketted as the perfect playmaker boot (which they are) they easily double for different style players right across the pitch thanks to their level of comfort. Highlight: A boot that features 5 Lethal Zones, designed to improve ball handling, control and feel. Top spot on the list goes to the latest installment of the Predator range simply because they are the best all round performing boot ever released. In a crazy twist. 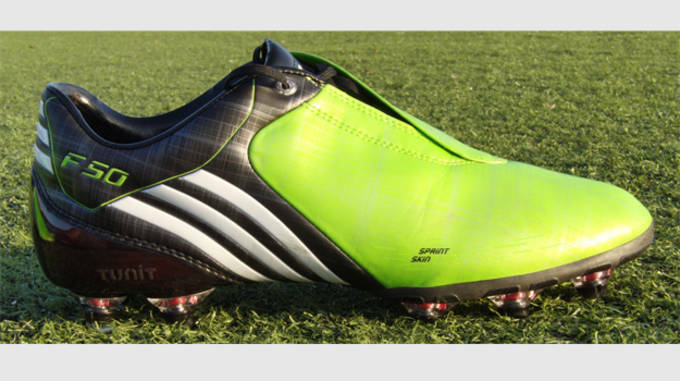 I wouldn’t actually rate this boot as the best Predator ever released. The Predator range has always represented Power, but adidas has made a dramatic shift that makes the LZ more of a control hybrid. Each of the 5 performance areas that sit across the upper has been strategically positioned to help improve ball control, handling and feel for increased precision and accuracy with every touch. The five zones include: First Touch, Dribble, Sweet Spot, Drive and Pass - each serve a very valid purpose and it is down to the individual player to find the ones that work best for them. They are comfortable, offer a glorious fit thanks to their hybridtouch upper, provide solid traction, have just enough technology to continually entertain your senses without overload.....to date, they rank as the most complete package that any player has ever worn!